Thicker than the average latex glove, the Ansell Microflex 63-864 Disposable Powder-Free Natural Latex Gloves are ideal for providing hand protection in a wide range of industries. As they can be used in both wet and dry conditions, they offer great versatility, and allow for great dexterity for optimal wear. 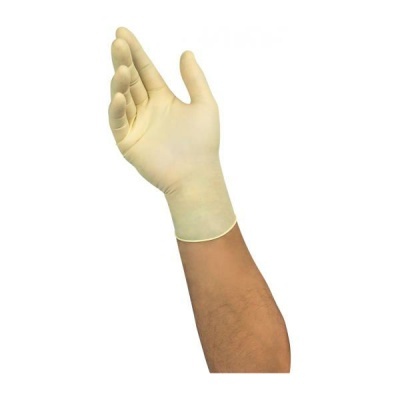 The Microflex 63-864 Latex Gloves are designated Category III gloves, meaning that these are gloves of complex design, suitable for irreversible or mortal risks. The Microflex 63-864 Disposable Powder-Free Natural Latex Gloves are available in five sizes that should suit the hands of most users. Please measure the circumference of your hand around the knuckles (excluding the thumb) with your hand open and your fingers together, and the length of your hand from the tip of your middle finger to your wrist.